With a heavy heart but keeping our hopes up , we are asking you for help to be able to save the life of our daughter Eva. Unfortunately, she needs another bone marrow transplant. The girl has already suffered so much, but she is fighting for her life, and we can not give up, so we are asking for your help. Eva was born on 10 June , 2009. In April 2010, she was diagnosed with myeloid leukemia, M2. It was treated according to the act for high risk groups. The brain irradiation was conducted. For a long time it remained in remission. But in 2012 the disease returned – the first relapse. Following the anti-relapse chemotherapy, it was possible to make autotransplantation with the help of stem cells. The operation was held in Kiev in the transplantation centre Okhmatdet in October 2012. 900 days of remission were interrupted by the second relapse ... at the regular planned checkup blast cells were identified. 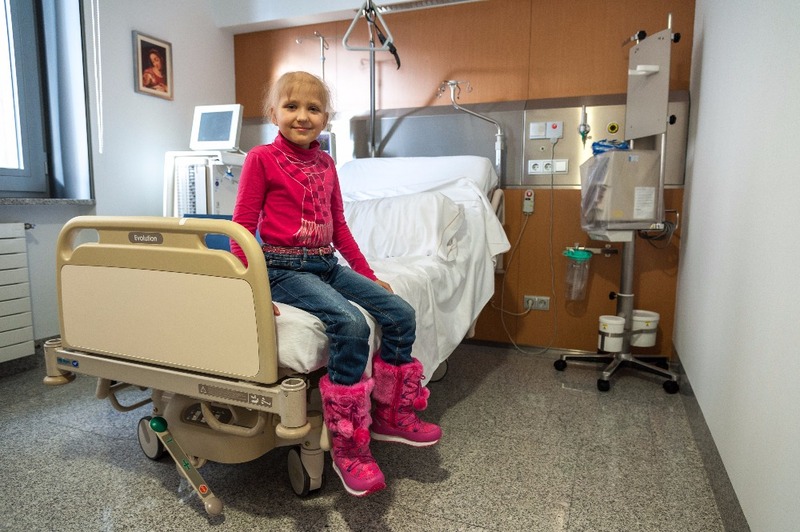 According to the conclusion of the chief specialist of the Ministry of Health of Ukraine on oncohematology, Eva was absolutely indicated transplantation from matched unrelated donor or partially matched related donor. The operation of such a complexity is not carried out in Ukraine. We started searching for clinics in Europe, and only one clinic took up the challenge: University Hospital of Navarra, in Pamplona. Time for finding a matched unrelated donor was almost gone and the doctors decided to carry out the transplantation from the 50 % matched parent. In June 2015 the transplantation was successfully performed, the donor's bone marrow engrafted. However, up to date, the donor's bone marrow can no longer restrain the growth of leukemia cells. 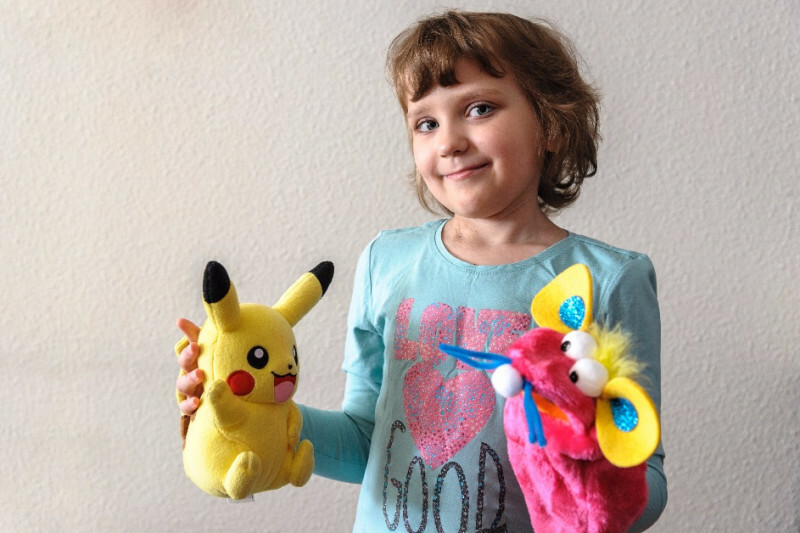 Eva urgently needs a new transplant from an allogeneic unrelated donor. Treatment should begin as soon as possible till the chance for a successful transplant is not lost forever. The donor search is already initiated. Account for the operation - 131 435,00 EUR. The clinic is ready to make concessions and to begin preparation for the transplantation procedure, if we can make an advance payment of 70 000 EUR. Of course, we started searching for money and 30.000 euro is still needed to raise! Therefore, we are asking for your financial support with hope and gratitude. We are grateful to everyone who helps us. Friends! I know you all are waiting for news about the results of the puncture. There is, of course, good news: two years later, having finished the first grade, Eva's twin brother Gordey has joined us. And this summer we will spend together! The guy has grown up and matured. A real defender for his sister! In the next 10 days we are waiting for the 8th Birthday! Then - the main Fiesta Pamplona - San Fermin !!! With daily salutes, bull runs, bullfight, a bunch of attractions ... All you need to gain positive energy and impressions. As for the main news - there is no cause for rejoicing. And it was a difficult period in our life: it was necessary to accept and realize this fact, consider all the pros and cons. Therefore, I apologize for not informing you for so long. The indicator of MRD (residual disease) increased to 0.1% . And this means that the therapy with another drug (Decitabina) is critically important for Eva. She did not receive this drug before and it has all the chances to reduce the indicator so that it does not threaten her life. And this is the only therapy that is possible in her case. Since the Ministry of Health of Ukraine paid less than half of BMT operation cost - everything that was collected last time was spent on paying the second half of the bill; + The funds helped to pay for anti-relapse chemotherapy (after which Evochka came out very hard for a long period of time); preparation for transplantation, and the cost of the transplant itself (this was a sample from the cord blood bank). Now you, friends and the Higher forces are the only hope. Funds that had helped us earlier, made it clear that they could not help anymore. And, again, time isn`t in our favor. In the past, you helped us a good many times, and proved that together we are a force that can make miracles. It is only thanks to you Eva is still with us, enjoying life, making plans for the future! I ask for your help ... what you can do ... prayers, finances, repost. Now we are waiting for an advance account from the clinic. Like all parents, we just want our child to stay with us longer. Help us in this ... That`s all we can ask you ... Thank you! 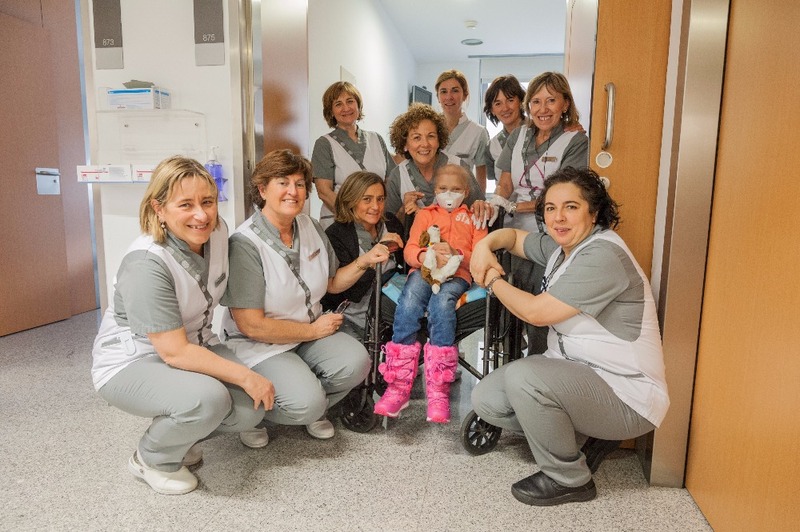 Eva is still being treated in hospital , in Spain. 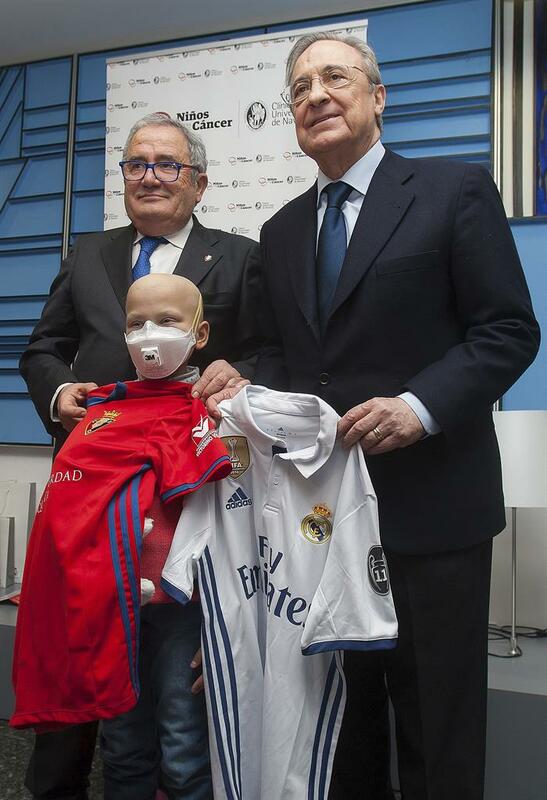 "Los presidentes del Club Atlético Osasuna y del Real Madrid, Luis Sabalza y Florentino Pérez, respectivamente, han apoyado hoy antes del partido entre ambos equipos la investigación contra el cáncer infantil con una visita a niños enfermos ingresados en Pamplona. 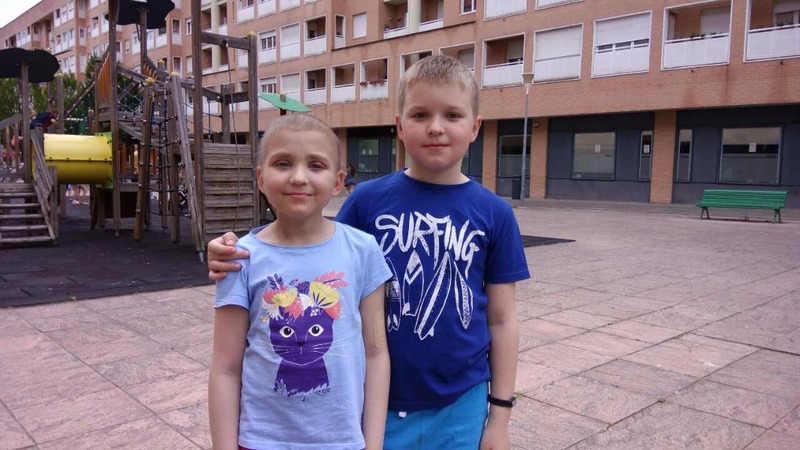 Se trataba de transmitir a los pequeños un mensaje solidario, "de apoyo y cercanía", y concienciar en la importancia de la investigación contra el cáncer infantil, ha informado la Clínica Universidad de Navarra en una nota. Hasta este centro han acudido a media tarde los dos presidentes, quienes han sido recibidos por el rector de la Universidad de Navarra, Alfonso Sánchez-Tabernero, y el director general de la Clínica Universidad de Navarra, José Andrés Gómez Cantero. Todos se ha dirigido a las habitaciones donde se encuentran ingresados varios niños con enfermedades oncológicas, con quienes Sabalza y Pérez se han mostrado "muy cercanos y cariñosos" y a quienes han regalado camisetas personalizadas de ambos clubes, así como gorras y bufandas, según las mismas fuentes. También en el Departamento de Pediatría se ha producido un encuentro con más niños, a los que también han entregado camisetas y otros regalos. Con esta visita los dos presidentes han querido también apadrinar la I Carrera Niños contra el Cáncer que se celebrará mañana por el campus de la Universidad de Navarra, y en la que ya se han inscrito más de 900 personas. La responsable de Niños contra el Cáncer de la Clínica Universidad de Navarra, Marta Lipúzcoa, ha expresado su agradecimiento a Florentino Pérez y Luis Sabalza por visitar a los niños, apadrinar la carrera y transmitir un mensaje de concienciación social sobre la importancia de la lucha contra el cáncer infantil. Las mismas fuentes explican que hace 35 años la Clínica impulsó este proyecto de Responsabilidad Social Corporativa para potenciar la investigación oncológica infantil y hacer accesible al mayor número de familias los tratamientos de oncología pediátrica." Day + 10. In waiting.. Eva`s condition is stable but severe. She almost does not wake up, all the time she is sleeping. Antibiotics, diuretics, anti-inflammatory, analgesic, antiemetic, hemostatic, saline solutions, parenteral nutrition, blood transfusion components, fever ... such a "Christmas tree with garlands" is in our ward. But that is not a reason to be sad. It is maintenance therapy, that is so essential for her and she can`t cope without it. This is what helps her to be with us, be one of us, to be among us. And she really needs your support. Finance, prayers or repost - any help is invaluable because it comes from the heart. Neither more nor less, but there are still 14,000 euros (required prepayment of 70 thousand euros), and the hope that the Ministry of Health of Ukraine will still fulfill at least half of its obligations. All we have, what we have achieved and where we are - would not have happened without you, my friends. And without Him, our God. Because He sent us to each other. I want to thank all of you. And, on the eve of holidays, I wish you in the coming 2017 - plenty of everything, prosperity, love, peace, happiness, wonder and fulfillment of desires. Who can help by reposting - please do so. 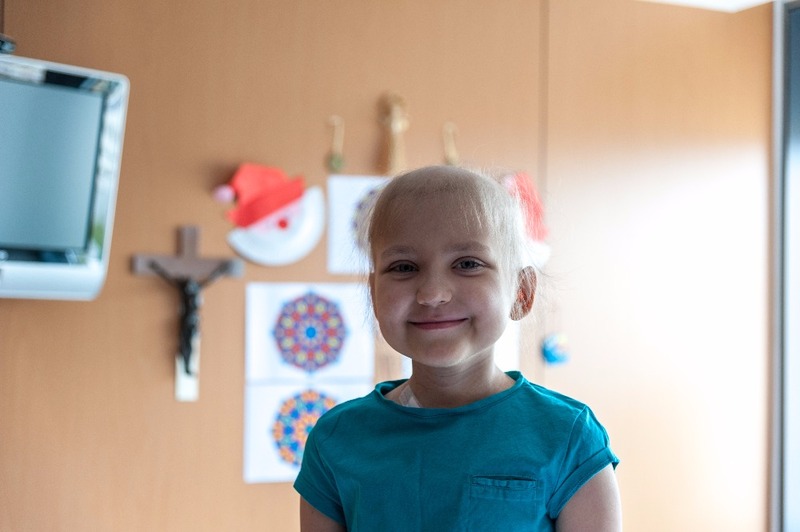 Who knows the prayers, and wants to pray for Eva, please - pray. Who has the ability and desire to help financially – you`ll be rewarded a hundred times. Get well, brave girl! I have a little girl named Eva too, her birthday exactly a month later. Very best wishes!